In preparation for Mother’s Day coming up, I am highlighting the doTERRA Harmony Collection. 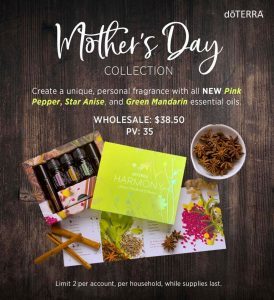 This limited edition Mother’s Day collection consists of doTERRA’s Green Mandarin, Pink Pepper and Star Anise. If you are looking to create a personal scent for your everyday wear, the empty roller bottles will be a key ingredient to your creations. 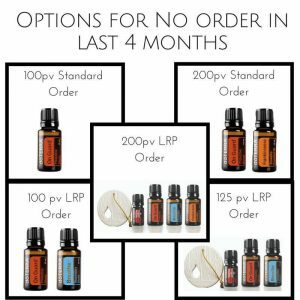 Along with the three new limited edition oils, two empty roller bottles, there is included a booklet with over 30 fragrance combinations! 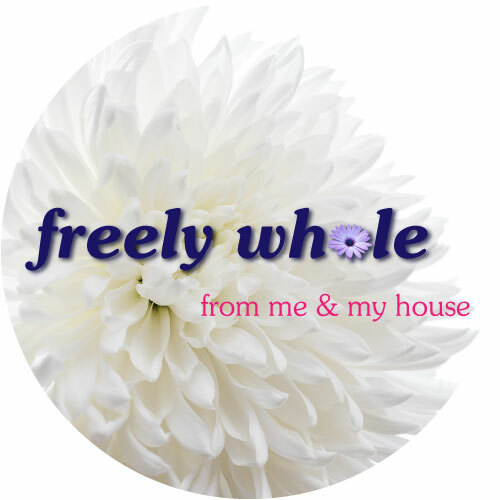 Are you looking for a gift for an important woman in your life? 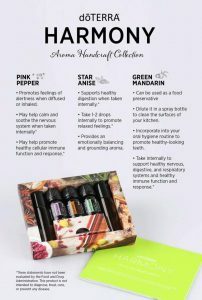 The doTERRA Harmony Aroma Handcraft Collection is a unique meaningful gift you can utilize to create your own personal scents. While Mother’s Day is a beautiful holiday for many, it can also be a difficult day for others. These oils promote relaxation and calmness for anyone who is feeling anxious for this upcoming day. The balancing and grounding aromas provide stability and peace when inhaled or diffused. Reach out to a woman who is in need of extra support with the doTERRA Harmony Aroma Handcraft Collection! 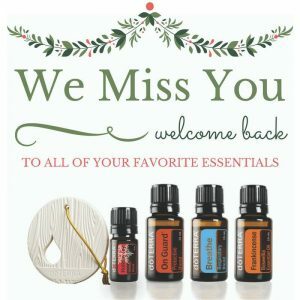 You can purchase your own or as a gift at https://www.doterra.com/US/en/p/harmony-collection. 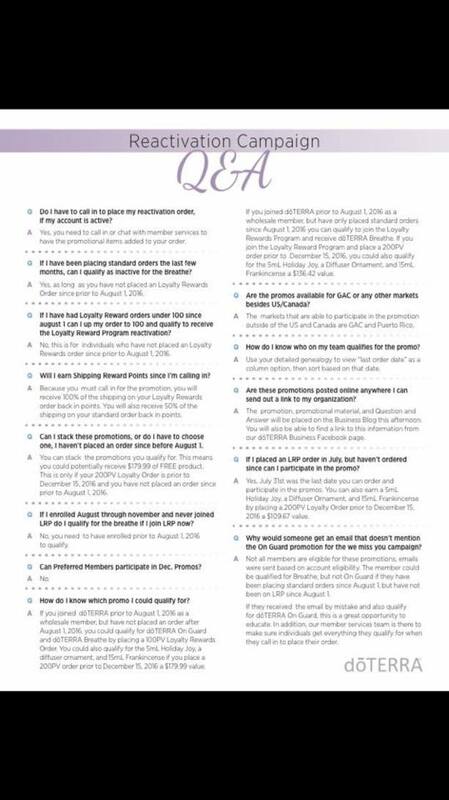 Or contact me to get connected to my support team and your wholesale pricing. 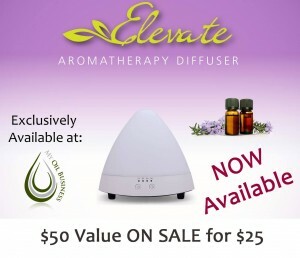 Check out the new diffuser exclusively from My Oil Business. Currently on sale, half price, $25. It has separate reservoirs and 4 timed settings.